In the lead up to the Final of Ireland’s Best Young Entrepreneur (IBYE), 24 finalists – the cream of Ireland’s entrepreneurial talent – were guests of An Taoiseach Leo Varadkar and Minister for Business, Enterprise and Innovation, Heather Humphreys, T.D., today at Government Buildings in Dublin. 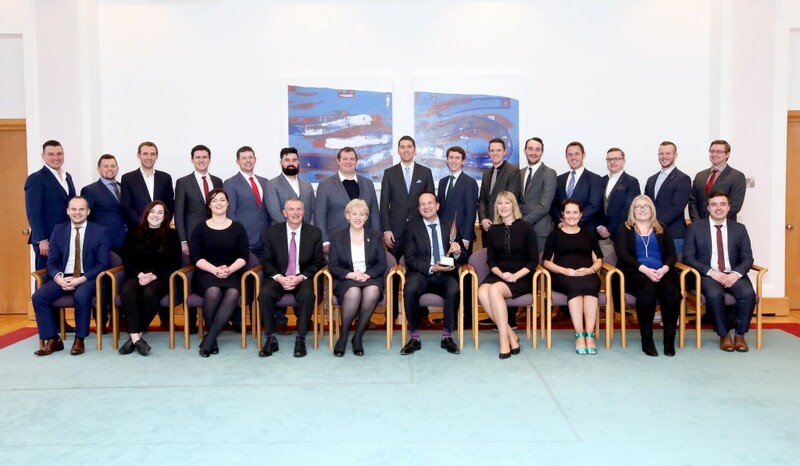 The finalists had the opportunity to discuss their businesses and ideas with An Taoiseach and Minister Humphreys ahead of the IBYE Final which will take place on 4th March. The IBYE programme is run by the 31 Local Enterprise Offices (LEOs) with the support of the Department of Business, Enterprise and Innovation and Enterprise Ireland. The 24 entrepreneurs also attended a training day at Google HQ in Dublin where they were given extensive pitch training and they had the chance to meet their fellow finalists for the first time. 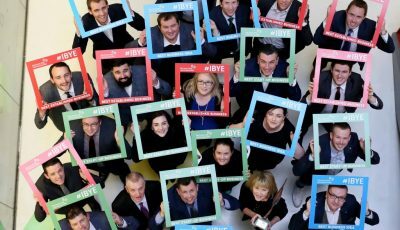 The 24 IBYE Finalists for 2018 will be competing for a €100,000 fund across the three categories. The winner of the Best Business Idea will receive a €15,000 investment with the runner up securing a €5,000 investment. The Best Start-Up Business and Best Established Business winners will receive a €25,000 investment each with the runners up in those categories receiving a €5,000 investment, while the 2018 Ireland’s Best Young Entrepreneur selected from the three category winners will receive an additional €20,000 investment. This year’s IBYE finalists show a huge diversity of ideas, which include a self learning anti-fraud software solution, an app that solves the issue of secure transactions with strangers when selling online, a peer to peer car rental platform, a solution to the compilation, visualisation and relay of IoT (Internet of Things) data, a company guaranteeing 90-minute deliveries, a former Connacht rugby player revolutionising the future of gyms, a virtual power plant and a John Rocha protege bringing catwalk style to Irish cyclists. The winners of the 2017 Irish Best Young Entrepreneur Awards were Ciara Clancy of Beats Medical who won the Best Established Business and the overall IBYE Award for 2017. Samuel Dennigan of Strong Roots in Dublin was the Best Start Up Business winner, while Alvan Hunt of Hexafly in Meath won the Best Business Idea for 2017. 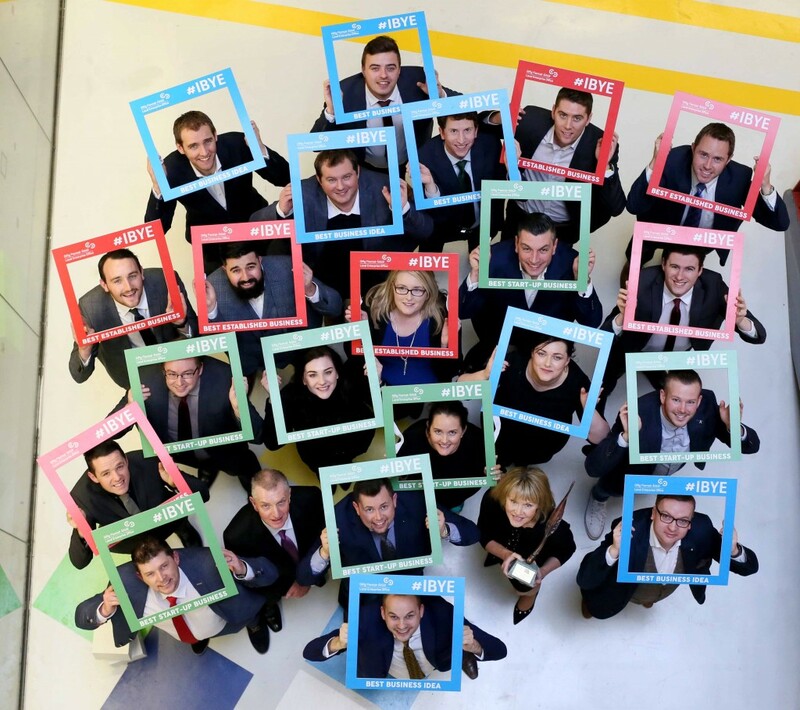 The IBYE programme is run by the 31 LEOs) with the support of the Department of Business, Enterprise and Innovation and Enterprise Ireland. The competition is open to people between the ages of 18 and 35 with an innovative business idea, new start-up or established business. Now in its 4th year, IBYE has an investment fund of up to €2million and saw 1,471 applicants for the 2018 awards. The competition is run across three categories: Best Business Idea, Best Start-Up Business and Best Established Business. Up to 450 young entrepreneurs were invited by the LEOs to attend free regional ‘Entrepreneur Bootcamps’ last year to help them develop their business and new venture ideas. With an IBYE investment fund of up to €50,000 each, every LEO awarded up to six investments to three category winners and three runners-up at county level. The local winners in the Best Start-Up and Best Established Business categories at county level received investments of up to €15,000 each and the two runners-up received up to €5,000. The Best Business Idea winner at county level received an investment of up to €7,000 and the runner-up received up to €3,000 of investment. These winners at county level then progressed to Regional Finals earlier this year with the winner of each of the three categories across the eight regional finals progressing to the National Awards.